In early November, I’m off to Israel for a third consecutive year for a 5-day bike ride to benefit the children of ALYN Hospital, a leading center for pediatric disability care in Israel. I’ll be biking more than 225 miles and climbing endless hills, mostly in the northwestern Galilee, along the Mediterranean coast, and up along the Lebanese border. 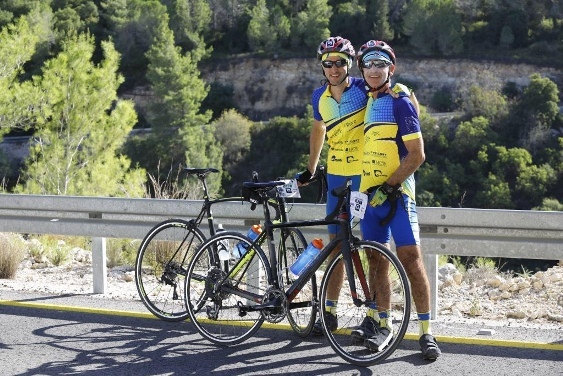 Then the last day we finish with the big climb through the hills of Jerusalem to the finish line and an amazing gathering at the hospital with hundreds of riders, ALYN patients, staff and families. I’m looking forward to renewing this personal challenge and to continuing to make a small contribution to the groundbreaking and heartwarming work taking place at ALYN. I view this as a worthy cause to benefit those less fortunate, all of whom are facing severe physical challenges. Please consider a tax-deductible donation to support the children of ALYN!